Back supports are used for a variety of reasons such as to improve posture, prevent or relieve a back injury or to help improve physical performance. 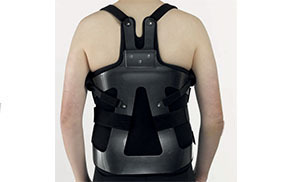 The TalarMade range of back supports fulfil each of these requirements. Improve your posture with the BodyMedics Posture Brace. With a vented tension elastic strapping system and reinforced crisscross banded design, this brace offers trunk extension support, allowing you to sit and stand in a correct postural position. For back pain prevention and back pain relief try the innovative and dynamic Dynaspine Back Support. Designed with the help of Physiotherapists, Biomechanics Coaches and Orthotists, Dynaspine is an ergonomic back support unlike any other. 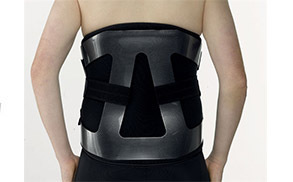 Use the Dynaspine Back Support in the office, at home or as a car back support. Visit the Dynaspine page for further details, images and videos. If you are seeking help for a ventral hernia or require support after back/spinal surgery, try the TalarMade Bodymedics Abdominal Binder or the BodyMedics Deep Abdominal Binder. There are many more back supports on our website, some with added gel or cold compression technology so take a look around our range. The TalarMade Spinal Supports are used to relieve lower back pain and prevent further back and spine injuries. This is very important for chronic spine pain such as Sciatica and Osteoporosis. 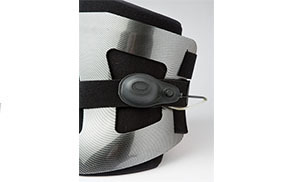 For a lightweight, low profile brace that is universally sized and fully adjustable to suit patients’ needs, the CASH Spinal Brace fits the description. With padded pubic and sternal pads and a comfortable anatomical shape, it is ideal for stable compression fractures of the middle and lower thoracic and lumbar vertebral bodies. For those looking for a spinal support more suited for a prolapsed disc, post-operative stabilisation, osteoarthritis or osteoporosis, the Carboflex LSO is ideal for your requirements. 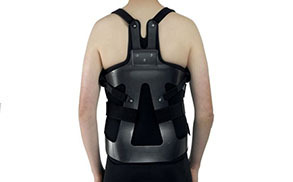 The light weight carbon effect neutral skeletal spinal shell also comes as an airback version which has an inflatable back pack/posterior bladder which reduces pressure on the spine. All TalarMade products are Latex FREE. The website is not setup to accept orders outside UK Mainland – For orders outside of UK, please contact our customer services to process and quote for shipping.